Create amazing slideshows in PerfectPhotoShow 9. Add photos, video clips and music. Apply beautiful Slide Styles and transition effects. Publish your movie in HD video with high quality. PerfectPhotoShow will help you create amazing video slideshows with effects. Add images and videos, apply slide styles and transition effects, add music. Create a beautiful movie in several minutes with HD quality 1080p. PerfectPhotoShow includes all tools to help you create a movie from your photos and videos. Only a single payment, no paid subscriptions. More than 120 beautiful slide styles and transitions. You can customize all slide style with several main parameters. This gives you an infinite number of unique effects! You can add images and videos for your movie. Easily add text captions to your images. Create HD video files for playback on PC, Mac and TV. 1920 x 1080. 25p, 30p or 60p. Create video slideshows for tablets and smartphones. 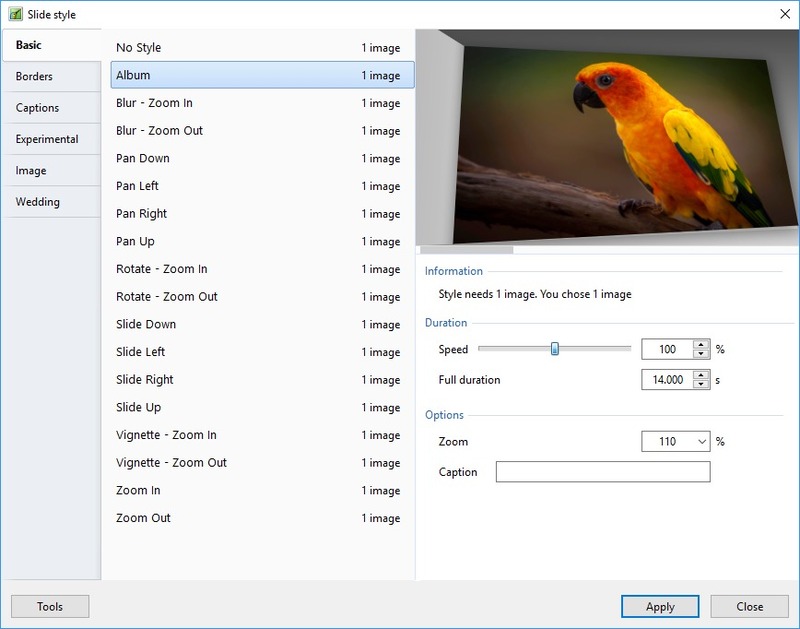 Best photo slideshow software for beginners and advanced users. 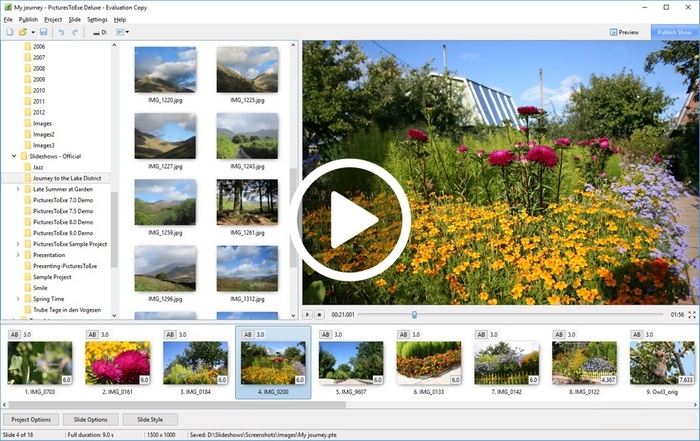 Download a 30-day free trial version of PerfectPhotoShow.